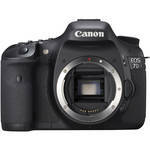 Yesterday, Canon announced a fantastic firmware update for the 7D. To my knowledge, this update is the first time that Canon has allowed manual audio levels on a camera that they previously released without that control. This is GREAT news for anyone shooting video with the 7D, and in my opinion, keeps the 7D on the market as a viable camera for a while longer. Kudos to Canon on this one! Now… if they would just follow suit and give me manual audio control on my 1D-Mark 4! Looking for a photo editor for your iPad or iPhone? Check out this review from DPreview.com on iPhoto for iOS. Here’s an interesting article from the Columbia Journalism Review on Carlos Miller. Mr. Miller is on the bleeding edge of protecting the rights of photographers and videographers to photograph, record, and otherwise report on what’s going on in the public sector. For his trouble he’s been arrested many times and still has pending court cases. Ever Wondered about Gear Insurance? Here’s an amazing story of a wildlife photographer whose insurance was bearly enough. I’m sure he wouldn’t have been laughing without coverage! Rangefinder Magazine has posted an outstanding article by Post Production Guru Jared Platt on the joys of outsourcing your post production. As Jared points out, most photographers are really good with a camera, but pretty poor on the computer. This means that we waste time, energy, money, and ultimately, we get burned out when we don’t get some help with editing our images.